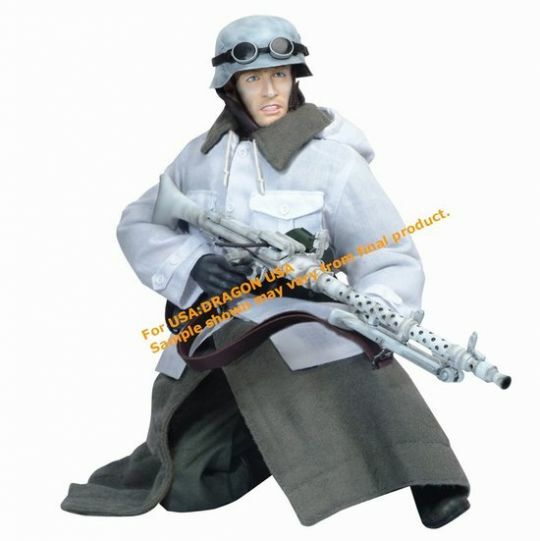 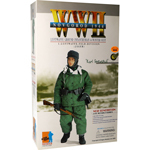 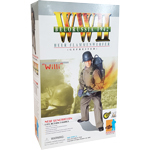 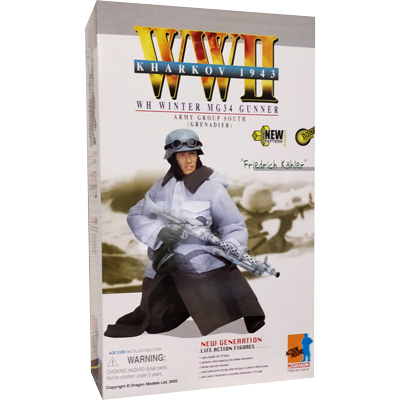 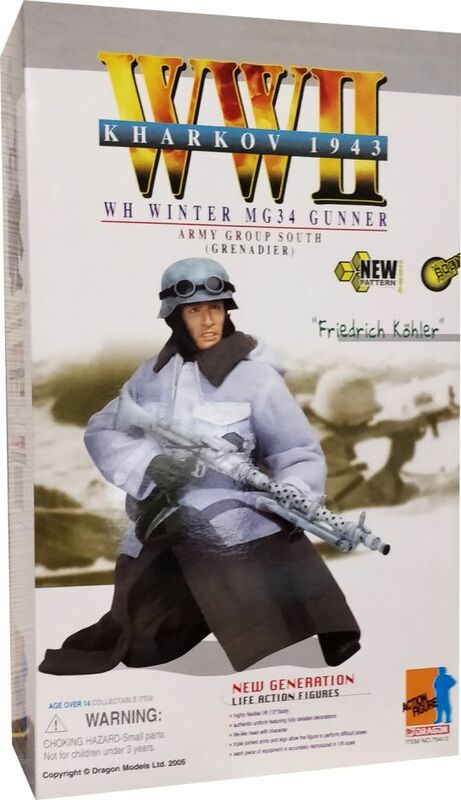 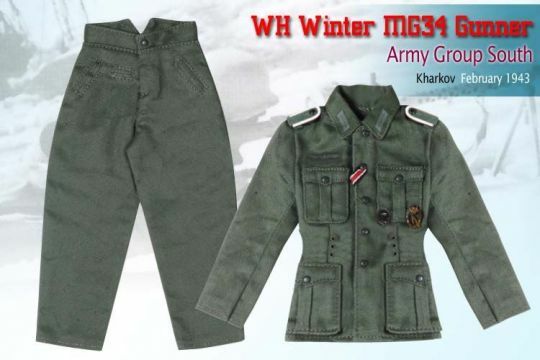 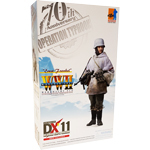 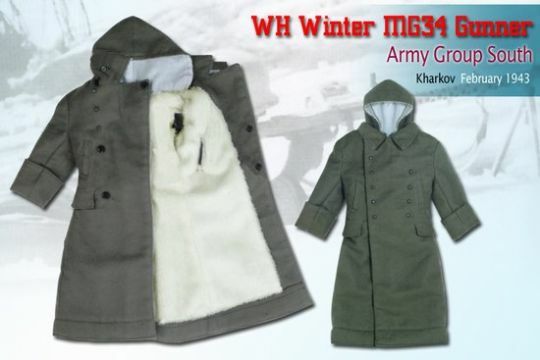 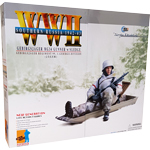 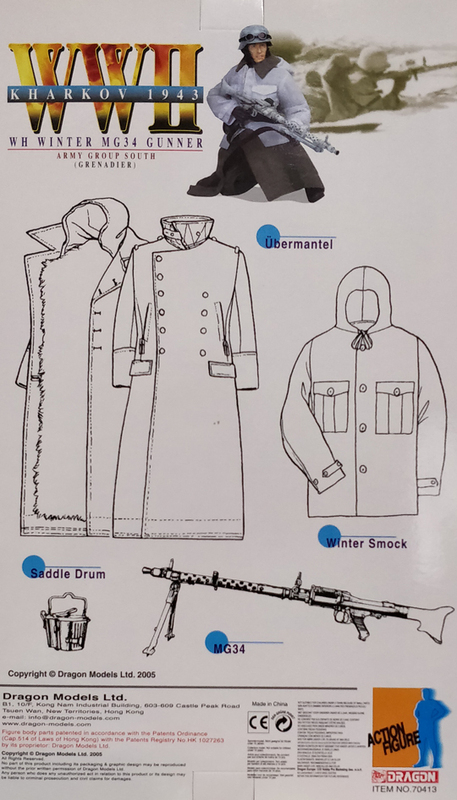 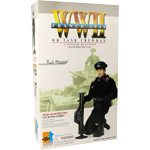 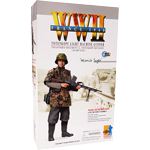 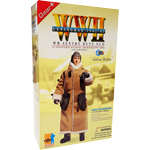 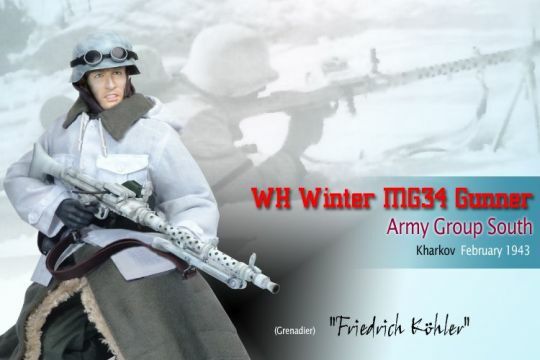 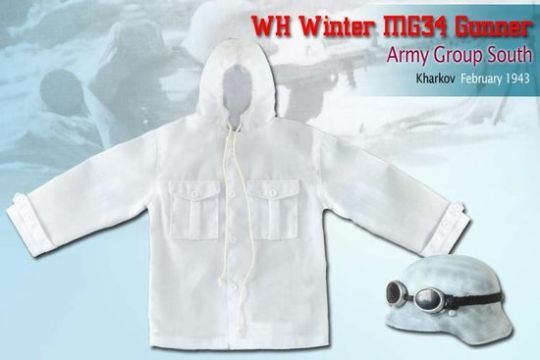 Uniform : M42 Helmet (metal) In Winter Camo - great Coat (Ubermantel) New design with fur liner - M40 Field Blouse (Wehrmacht Schutze) - winter smock (white) newly designed - M40 Trousers (Wehrmacht Infanty Private) - winter hat - felt winter marching boots. 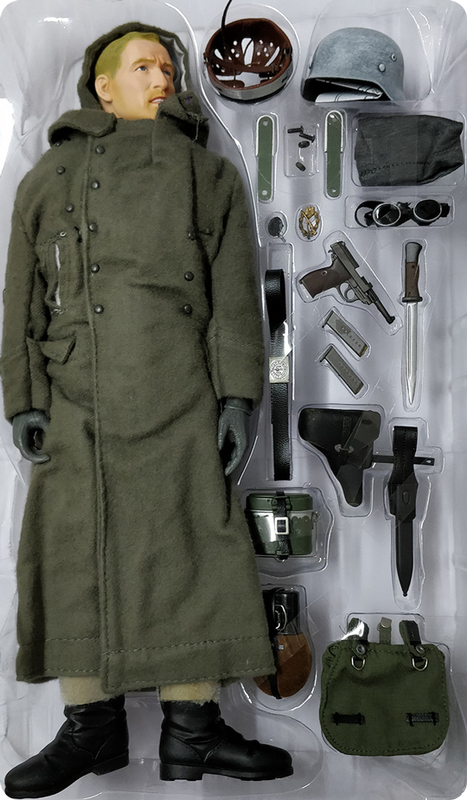 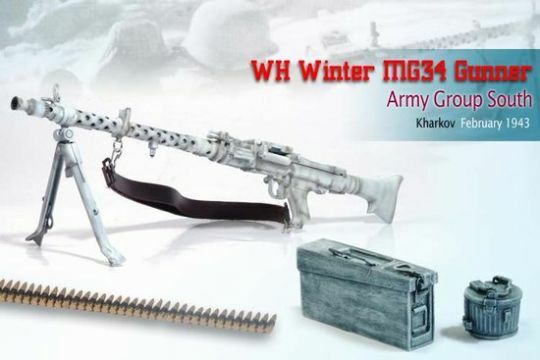 Equipment : MG Accessory Case - MG34 - Saddle drum for MG 34/42 - MG Ammo Can complete with white washing and weathering - Saddle drum for MG 34/42 with white washing and weathering - M31 breadbag - Wehrmacht equipment leather belt - M38 gas mask container with weathering - Snow goggles - 84/98 bayonet and scabbard - M31 mess kit with weathering - M31 water bottle. 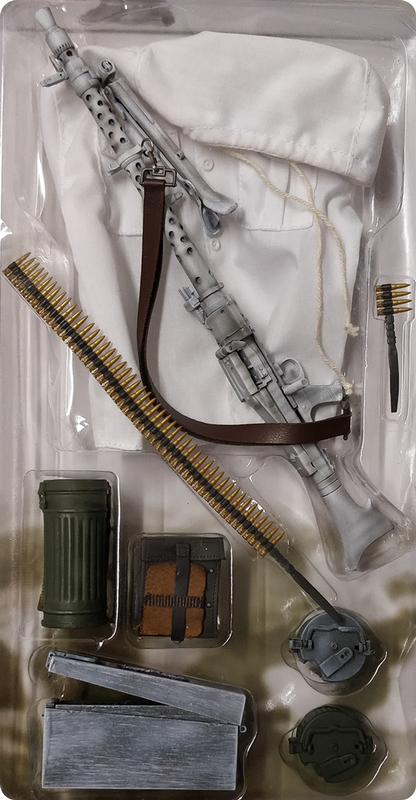 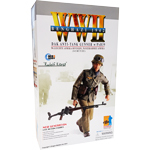 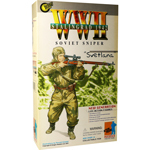 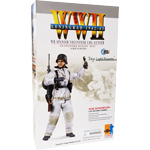 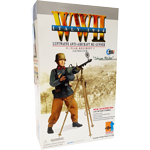 Weapons : MG34 with white washed camouflage - Walther P-38 and holster - MG34/42 Belt Ammo x 2 - MG 34 round starter clip ammo.